Yorick Bruins is Agriterra business advisor in Tanzania. This week he explains why farmer cooperatives will become increasingly important in feeding our planet. 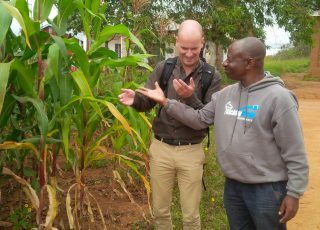 Yorick: “At Agriterra we are specialized in farmer cooperatives because we know that they will play an increasingly important role in feeding the world and kickstarting local development. However, in some regions the concept of ‘cooperative’ has a negative connotation due to bad examples. In Tanzania many cooperatives were government imposed, instead of bottom up originated from the will of the farmers, or strongly influenced by the government. In Tanzania some of these structures were used as political instruments. This is all really unfortunate because cooperatives can be so much more. However, in the Netherlands we’re very much aware of the major positive aspects that cooperatives can have on the quality, security and financial position of individual (smallholder) farms as well as for food security and rural economic development in general. The Dutch are champions of cooperative working. During my studies and in my work for the Slow Food Network I’ve seen how cooperatives enable farmers to increase their leverage in their own production chain. And more broadly; to improve the position of farmers in our global food system. Tanzanian middle men are often very professional and make sure that trading goes smoothly. They also absorb risks in the business relationship. But they do not always put the interests of the farmers first. For instance, they know when the farmers are short on cash. Middle men visit these farmers and offer them a lower than market price for the coffee, but offer to pay immediately, in cash. You can see why this can be seen as a good proposition for many farmers. A strong cooperative structure, risk-sharing and equal buyer-seller relationships can help protect farmers from these practices. 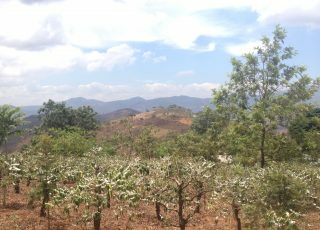 “If a Dutch business wants to source coffee or other products from Tanzania, Agriterra can also play the role of trustworthy broker. We select cooperatives on the basis of governance, financial situation, quality of product and motivation of the members. We train and advise them how to professionalize and ready their products for international exports according to the required standards. This close relationship and our knowledge helps us to connect them to international buyers. A partnership with Agriterra can be seen as a quality mark for cooperatives. This makes doing business a lot easier for Dutch businesses. 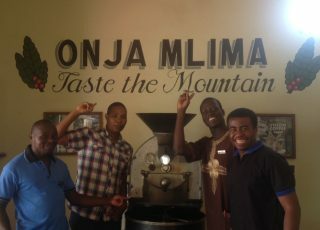 Next week Yorick will explain what wild coffee is and how you can effectively do business in Tanzania.